Seattle soul band The Dip unleash a torrent of rich, raw songs full of warmth and energy in ‘The Dip Delivers’, breathing fresh life into a classic sound. Offstage, The Dip look like sort of like a ’90s all-male Brady Bunch. Their press pictures even look like family photos: Seven dark-haired white guys from Seattle – each with his own distinctive flares – sitting on the street, around a pool table, or with a couple of beers. It’s quaint, to the point that when you listen to their music for the first time, you can hardly believe these guys made that. But as the name of their newly-released sophomore record indicates, The Dip Delivers. 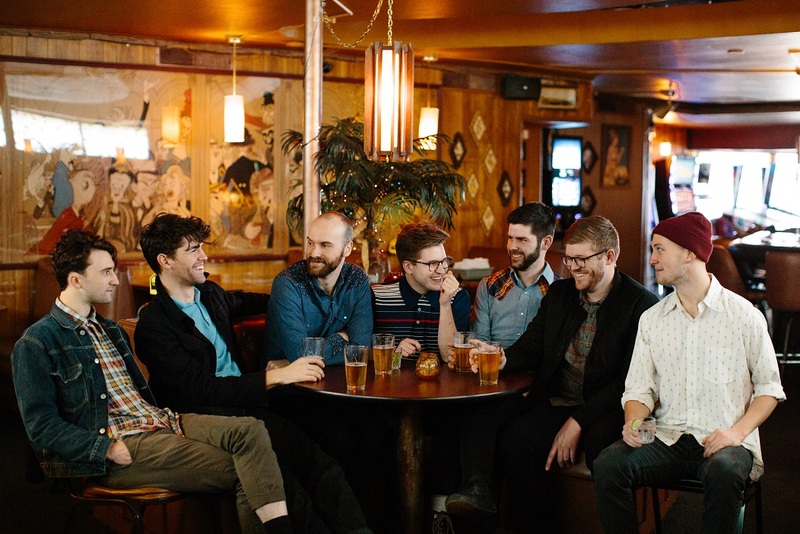 Onstage, this Northwestern septet prove themselves a blue-eyed soul powerhouse of sound, unleashing a torrent of rich, raw songs full of warmth and energy. Like their contemporaries St. Paul and The Broken Bones, The Dip are a bunch of white dudes making historically black music in the form of vintage R&B-inflected soul – and they’re aware of it, they pay homage to it, and they perform with an incredible ear for what feels right, and what feels good. 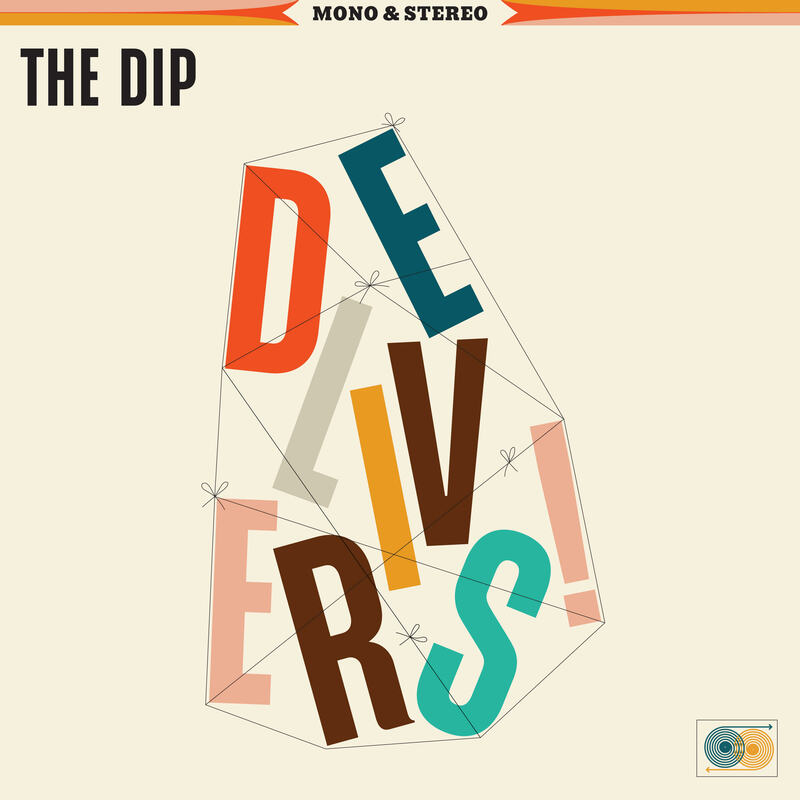 Released February 8, 2019, The Dip Delivers is an onslaught of classic soul and sweet melody. 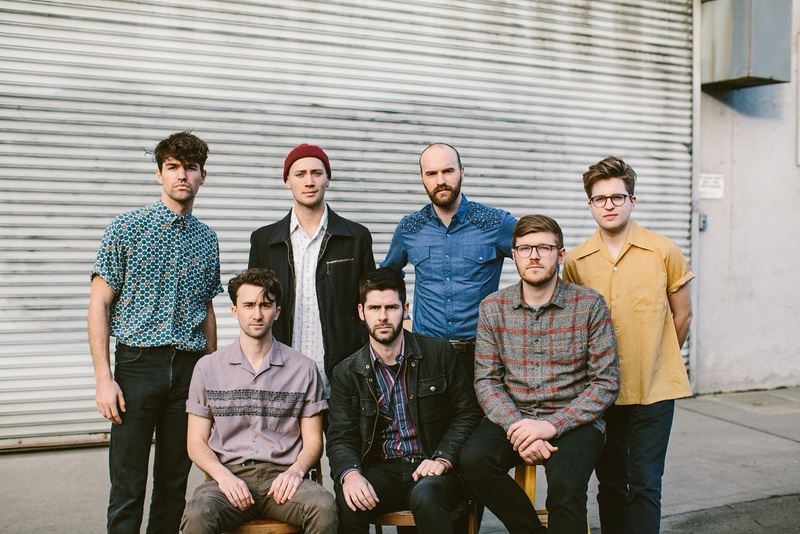 It’s a dynamic and engaging display of instrumental might, thanks to the sheer talent of The Dip’s seven members: Tom Eddy (vocals/guitar), Jacob Lundgren (guitar), Mark Hunter (bass), Jarred Katz (drums), Evan Smith (baritone saxophone), Levi Gillis (tenor sax), and Brennan Carter (trumpet). The album opens with the groovy “Sure Don’t Miss You,” which, as its title suggests, presents more of a “good riddance” than a “want you back” scenario. Strong vocal harmonies and a smooth brass/sax riff make for a compelling introduction to the whole band, inviting us into a world that is at once familiar, and yet altogether new. Tom Eddy’s voice is raw, and full: He leads the group with charismatic force, bringing everyone together around passionate croons and spine-chilling howls. From the heavy-hitting societal critique “Advertising” to the lovelorn “Adeline,” the heartfelt “Atlas” and beyond, The Dip Delivers breaths fresh life into a classic sound, making the old feel exciting and new again. If they can bring this much energy to an album, just imagine what they bring to the stage. Experience the full record via the below stream, and peek inside The Dip Delivers with Atwood Magazine as The Dip take us track-by-track through the music and lyrics of their sophomore album! Catch The Dip on tour throughout 2019 (dates below). Sure don’t miss you is a song about the moment when you feel like you’re done hurting, done feeling sorry for yourself. When somebody you care about gives you the boot and that unique brand of loneliness sets in, it takes a minute to get out of that. I wanted to write a song about that first moment of courage if you want to call it that – it’s more like hubris maybe – that naïve joy you feel when you decide that you’re over it. You’re not, of course, at least I never am. But that deeply human reaction helps you get on with it. It’s the hearts survival mechanism. Best Believe is a conversation between two individuals trying to figure out where one another stands in their relationship. The question at hand: “Are you serious about this, is this for real?” And when it comes to matters of the heart, I’ve found that questions like this are often times asked through actions rather than direct conversation. We’re always doing this or that in hopes of forcing the others’ hand. It’s a bit of a cruel game, but in this case, the answer is a resounding yes, you better believe it. Sometimes, however, the simple answer is not enough. It might take a little convincing, might have to take a knee and get serious about it. Advertising basically came out of a frustration with the way things seem to work these days. It seems like most of what rises to the top, exposure wise is clearly there for reasons outside of its artistic merits – in music and in most things. Here I am thinking we’re above it all, all high and mighty, and then I looked around one day and we’re throwing down money buying Facebook ads and sponsored posts. It was kind of sad and hilarious to me. So the song is sort of a sarcastic acceptance of the inescapable power of capitalism to influence and corrupt everything. Yikes! This is a love song. It takes place across a small table in a public place, a restaurant or cafe. Enough time has passed and Adeline has been gracious enough to sit down for a conversation with her man, whose transgressions have recently come to light. He’s on his last token and the odds aren’t good, but he’s going to give it a spin anyway. He needs to convince her that this time will be different, that he’s going to be better and that he can’t live without her. I don’t envy this man, but I guess I’m pulling for him, for them. We all know someone who has the beautiful inclination to tend to the needs of others over their own. For a lot of people, it’s their mom. I think the caring nature of mothers is what keeps this word from unraveling completely. But regardless of who it is in your life, it’s all too common for these wonderful people to neglect themselves and forget about their own well being. It takes a toll and it’s a hard thing to watch. Atlas is a plea to take a moment and check in, to rest. “When’s the last time you ate? You’re not hungry…? Eat this sandwich!” Stuff like that. We need to look out for these people in our lives because we need them around. That’s the idea behind the song. Slow Sipper is a bit of a barroom fantasy. It’s a song about a cocktail siren, perched atop a vinyl bar stool, shooting glances through the obscuring haze of cigarette smoke. The protagonist just stopped by after work to have a drink but was obliged to have another, and another… But her drink has a funny way of staying full. She’s a slow sipper. Mark came up with the concept and thedetails filled in fast. It really makes your imagination run wild. It was a hard song to record because the groove requires some real patience to make it hit, which I think lends itself to thenarrative of the song. Spiderweb explores how messed up our society is today. The people with the power to make the rules make them to their own benefit. The Trump administration is the most blatant and glaring representation of that lately, but it’s everywhere, even if you can’t see it. Money rules everything. Billionaires no one has heard of are shaping our world into a pretty messed up place for a lot of people. The song is cautionary, imploring the listener to be aware of the traps and pitfalls laid out before the average person. Josephine and Chyee did an amazing job adding some real tension with their harmonies on the chorus and especially the bridge. That, combined with Jacob’s mix and choice of reverbs, makes it haunting and unsettling and that’s the point. This song is all about the grooves. Two distinct feels, kind of a double-time thing that unfurls into the mellow verse. The melodies of the chorus are lazy and lilting, but the end really takes a turn. The arrival of the horn melody on the end section sounds like a battle call blown into the night. The fuzz of Jacob’s guitar is stern and electric like the drawing of a sword, and it is met head-on (as it often is) by the growl of Evan’s baritone sax barking defiantly. This is one of our favorite songs to play live as it lends itself well to a bit self-indulgence on stage. Got to get your kicks where you can! I wrote this song about my girlfriend who, for the record, is a stone-cold queen. She’s got a pretty good thing going too. I don’t think I’m alone in this world when it comes to lowly musician boyfriends. You try to make up for it where you can. I make up ground in the food department, as I fancy myself a good enough cook. But the bottom line is, she doesn’t love me for my money, and that’s the way we like it. However, when she got a new car and prohibited me from driving said car, that cut me deep. Considering my driving record, and a general lack of personal responsibility, it was somewhat understandable. But, it made for a hell of a song, and she lets me drive now, sometimes. The last song we recorded for this record and perhaps the most involved, Sea Snake is all about the arrangement. I walked into our studio a little late the day we cut the string parts to find Brennan, arms outstretched, doing some damn fine conducting. A couple more run-throughs and we put it to tape. It was a challenge to find a way to capture the intimacy of certain sections of the tune while leaving space for the bravado of the bigger parts. A truly collaborative effort, we all put our musical heads together to find space for the ideas we had, and I think it turned out right. I was glad we recorded it last as we really employed all of the know-how we gained throughout the process of recording the previous tunes.